Why Live Below The Line? 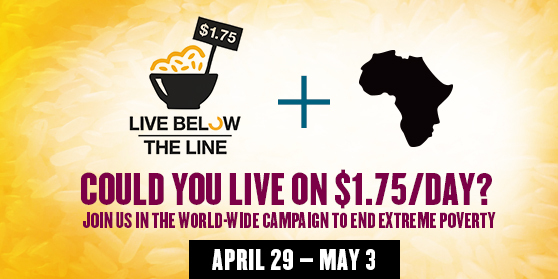 Live Below the Line is a new charity initiative that challenges you to live on less than £1 a day for five days to help raise money and awareness for the 1.2 billion people who live like this everyday. Having started in Australia in 2009, the project now runs in six countries and has raised a phenomenal £7 million over four years. The concept is a simple one and at a first glance appears an effective way of engaging in a problem that usually makes us feel helpless. But it is hard not to criticise when celebrities such as Gwyneth Paltrow join the challenge and believe they are ‘walking in the shoes of those in extreme poverty’ when they tweet an avocado, some kale, squash and a couple of limes as their food allowance for the week. Does the challenge give us a false sense of what it is like to experience extreme poverty? Well yes, definitely. Even though most of us are unlikely to follow Paltrow’s diet plan when it comes to the challenge, we aren’t much closer to what it is really like to struggle in extreme poverty. We still pay rent for the roofs over our heads, gas for the food we cook, the tap-accessible water which we drink, and the tutors that teach us our degrees. And most obviously, it is voluntary and only lasts five days. Is this a reason to not take part? Definitely not. If you aren’t going to take the challenge because you don’t think it is a true representation of extreme poverty then you are missing the point. The challenge is far more challenging than you might at first expect. It makes you realise that not only can you not even recreate extreme poverty in your daily life, but even when you attempt to come close, you still cannot even begin to conceive what it really must be like. This realisation is likely to have a powerful impact on how you think about issues such as global poverty, and will therefore be a far more worthwhile challenge than another sponsored event such as a charity run. Furthermore, although it does only last five days, the challenge is designed to encourage you to think more carefully about how you spend money on food in the long term. In an environment where three-course meals are £5, free glasses of wine are not uncommon, and we throw away food with ease into a bin that we don’t even have to empty, it is far too easy to live an extravagant lifestyle that doesn’t consider the wider implications of our actions. 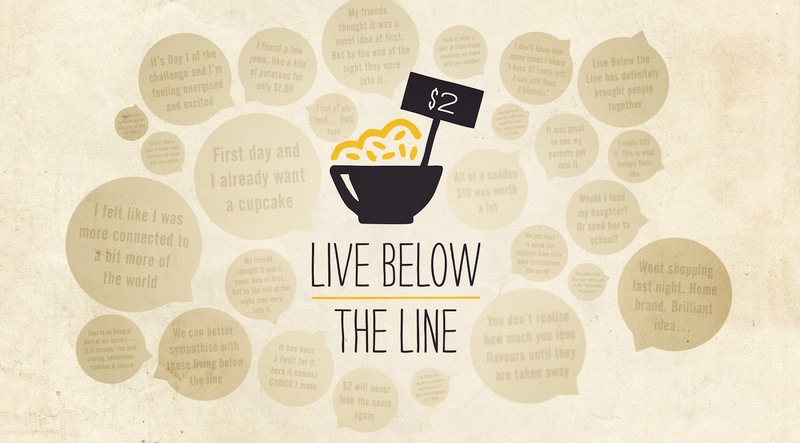 Living Below the Line will hopefully teach you to treat the food you do have with more care and thankfulness, and realise that you can spend less on food and give more to charity than you previously assumed. If you are still sceptical, there is only one way to decide if it can really change your attitudes and behaviour. Join Oriel on 2nd May to Live Below the Line (or at least donate to the team!). After all, the worse that can happen is that you raise some money for charity.